Ahmed's knowledge and insight on Ancient Egypt is impressive. We really learned a lot of insights and information from Ahmed. Would highly recommend Ahmed! Ahmed was an amazing guide in Luxor and Cairo. He was extremely knowledgeable about the history and the culture of the areas we visited. He was well organized and took wonderful care of us during the entire trip. He was very professional and gave us opportunities to see areas off the beaten path. The trip was stress free, - so we could just take in all sights relaxed and excited to be there. We would highly recommend him to anyone looking to travel to Egypt!! The tour was amazing. Ahmed gave us some good tips and explained a lot about the tombs in Valley of the Kings. He was even very patient with us when we forgot to get local cash for the entry fees, he covered the fees for us all day. Thank you Ahmed, that was so kind of you! He was prompt and courteous, a great day overall! I would have liked a little more information about local culture on our drive to the Valley but otherwise it was fabulous. The day tour to Abydos and Dendera was some of our best time spent in Luxor. The temples were a magnificent display of colours, detail and preservation - everyone must see them. Ahmed was kind enough to organize a lunch pack for us & even stopped for some Egyptian bread so we could eat like locals. Very tasty! Ahmed's knowledge and appreciation for the finer sights of Luxor's offerings resulted in a memorable experience. His passion for Egyptian mythology and history was both detailed & enthusiastic. Ahmed was very accommodating to us on the first day as we had a number of "must-sees" on our list for the West Bank, while being conscious of not overlapping items we would be covering in our organized tour later in our holiday. Ahmed's knowledge and appreciation for the finer sights of Luxor's offerings resulted in us having a unique and memorable experience. Ahmed's passion for Egyptian mythology and history was both detailed and enthusiastic. We will never forget our first time in Luxor. Thank you! Ahmed was a very friendly & professional tour guide. He arrived early to meet us for our daytrip to the pyramids, provided a wealth of information and made us feel very welcomed to Egypt. We would recommend him to anyone looking for a tour guide in Egypt. I'm a professional guide in London so I know a good one when I find one. Ahmed is an excellent guide. His historical knowledge is very deep and easy to understand. He took us to sites that were surprising and well chosen (as well as the main ones), and tailored our tours over four days to respond to the things that interested us most. We had a wonderful time and really enjoyed his company and our experience. I highly recommend him. This was our third day with Ahmed.Read previous reviews.As always he was punctual and gave us a very full tour of The Valley of Kings and Queens.He gave us very good advice and all the information we needed. He never once rushed us and it was a wonderful day.Ahmed has been a great guide.Without him we would never have seen or learned half the things we did.We felt very secure and safe and appreciated his efforts to ensure we saw everything I had requested.Thank you Ahmed for the memories.See you again. See my previous two reviiews. Ahmed and his driver collected us exactly on time from our hotel to see the Karnak light show. As always he looked after us, sorted the tickets and ensured we were returned safely to the hotel. See my previous review. As promised Ahmed was waiting at the airport to greet us at mid day. He gave us a few options.We chose to start immediately at Karnak. The transport and driver were excellent as it had been the day before in Cairo. Ahmed was extremely knowledgeable explaining and answering all my questions very ckearly and in great detail. He gave us plenty of time to wander around and pause whenever we wished. After Karnak Ahmed took us to visit Luxor Temple before dropping us at our hotel. We had a great day with Ahmed! He is very knowledgeable, and clear in both English and German (our group used both languages). He managed our time very well, so we got in everything we wanted to see - which was a long list - without feeling rushed. We spent a wonderful day touring the West Bank sights with Ahmed. He was very knowledgeable but best of all, he intuitively managed to tailor the tour to the diverse interests of our group of 6. We were also taken to eat what was the best Egyptian food we have had on our trip so far. Ahmed did not, at any point, rush us even though we went well over the duration of the tour. We would definitely ask Ahmed to guide us again on our next visit and to actually, plan our whole itinerary in Egypt. Ahmed picked us our group of 6 up from from airport and from the get go, we knew we found the best guide. Five of our 7 bags did not arrive on our Egypt air flight and it was a nightmare to get a truthful answer from the airline to get our bags found and delivered. We did not receive them until 2am the next day but it was only after Ahmed made countless calls to both airline and personal contacts to ensure it was done. This was definitely above and beyond what was expected and much appreciated by all! We were a group of eight people shown around Luxor by Ahmed and it was a wonderful experience having him explain the history, the inscriptions and the culture. He is extremely organized and timing to each venue was bang on. He patiently answered any questions that we had. Ahmed also has a great sense of humour which made the trip a lot more fun. And to top it all he introduced us to the local cuisine which we all thoroughly enjoyed and voted it the best meal of our trip. Highly recommend him. I highly recommend Ahmed! We enjoyed his tour very much. He was very knowledgeable and communicates very well. Excellent day!!! Ahmed was very knowledgeable and often thoughtful in buying us snacks and drinks. He was off his game because of a bad cold. We were turned off by his frequent cell phone use when we were touring. Ahmed was extremely knowledgeable, friendly and did a great job fitting our many requests into a short amount of time. He made the experience a great one and I would highly recommend him for someone looking for tour in the area. Excellent trip to a fascinating and very interesting part of Cairo. Ahmed was very good as was the driver in a very comfortable car. Ahmed did a great job at incorporating our additional requests in terms of add on sites and we reall enjoyed our tour. Shukran! Highly recommended. We took a full day and half day tour with Ahmed. He has a very deep understanding of the sites we saw and ancient Egypt in general. Ahmed provided detailed explanations, promptly responded to emails, and showed up early at our hotel to pick us up. Ahmed also had up-to-date knowledge on best times to visit sites, availability of tickets, etc. Ahmed has a good sense of humor, and did a great job overall. I highly recommend him! We took a full day and half day tour with Ahmed. He has a very deep understanding of the sites we saw and ancient Egypt in general. Ahmed provided detailed explanations, promptly responded to emails, and showed up early at our hotel to pick us up. Ahmed also arranged for us to visit the tomb of Queen Nefetari in the Valley of the Queens ( a must-see, even though it is expensive), and had up-to-date knowledge on best times to visit sites, availability of tickets, etc. Highly recommend Ahmed! We loved our tour with Ahmed! Just to set the picture, we have been traveling for a week+, a family with two teens, in August with temps in triple digits. Yet everyone had fun, enjoyed, learned a lot and would do it again! Ahmed's style is laid back, no nonsense, but fun. His goal is to make sure everyone enjoys, but also gets a sense of the absolutely extraordinary sights and history they are experiencing. It is also important that we learn what has been lost from decades of looting. Bravo! Ahmed's cool and friendly demeanor made our visits to the sites a pleasure. Right from the day before when I was contacting him to change our program slightly to the day we were heading back to Cairo, Ahmed checked on us to make sure we were having a great experience. He was knowledgeable, funny and caring but also guaranteed we did not miss any detail. He is a great communicator. We learnt a lot about the local culture as we talked on our way to different antiquities.I wish I could give him Six Stars !! Mr. Ahmed is very organized, on time. Very flexible and informative. We will use him again, if we come back to Luxor. Ahmed was an excellent guide. He took me to what I wanted to see and knew so much about the ancient history as he is an Egyptologist. He was patient with me, and very helpful. I felt I did absorb a lot of information also about present day Egypt. He answered my questions and what he told me made sense. From the very first meeting when Ahmed arrived at the hotel early for our tour, he was professional, punctual and a wealth of knowledge. He worked closely with the driver, was able to amend our tour if we needed to finish the day early or extend for one more site. He was accommodating and flexible. At the end of our trip we felt that we had spent our time with a very good friend and not just a guide. I would recommend Ahmed for touring whether it was a small group like my wife and I or a larger tour. Everything organized smoothly and kindly. Comfortable travel. I booked Ahmed through ToursByLocals website for two days at Luxor. One day on the West Bank looking at the Valley of the Kings, The Nobles and Workers Tombs. On the second day we travelled to Abydos and Mederas, which are two great temples out of Luxor. Ahmed was very knowledgeable, he takes the time to explain scenes and is patient to repeat important information to ensure you understand. Ahmed has a great passion for Egyptian history and I would recommend him if you're looking for a great guide. We had an absolutely wonderful time in Cairo thanks to Ahmed! He was kind and provided brilliant insight making the trip educational and fascinating! He is a great guide and I would highly recommend him! We had the pleasure to meet Ahmed and to have him show us around his wonderful city of Luxor. Ahmed was knowledgeable, punctual and courteous. His recommendations made sure we not only hit the highlights, but also some of the wonderful off the normal tour sites. He advised us on dealing with vendors and must try local dishes. He was able to gauge when the kids were hitting their saturation point and made sure to not overload us.I highly recommend Ahmed. Great to be with - knows hsi stuff - went the extra mile to make sure everything we did was perfect! BTW - Egypt is very safe - we never had any concerns with our 2 days we spent with Ahmed - would book him again in a minute!!! A day in the company of Ahmed was a pleasure. His knowledge is outstanding and I would thoroughly recommend everyone to use his services. Everything went according to plan and all my changes to the original tour itinerary were accommodated. Excellent. 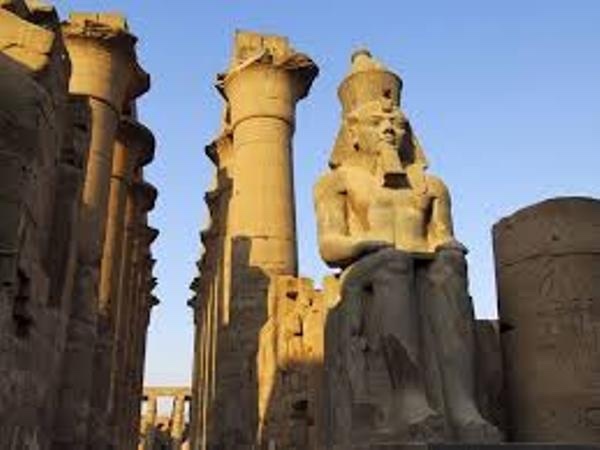 TOUR GUIDE RESPONSE: Thank you Sir ,it was my pleasure to be your guide in Luxor ,wait for you for the next Trip . What a memorable tour!Our guide Ahmed made our days so enjoylable.He was warm and informative guide.We had asked him by mail to manage for our tour and requested not to feel overloaded especially as we have a younger son aged 6.He arrenged two days tour in WestBank.He picked us up right on time for two days.Every time he was welcoming and tried to explain easily about Egypts history for us(we are not native speaker).We were able to relax and understand.We would highly recommended Ahmed as a tour guide. TOUR GUIDE RESPONSE: Thank you for choosing me to be your guide in Luxor ,wish you all the best ,and wish to see you back in Luxor. Many thanks to Ahmed who made our tour more enjoyable and passed some good knowledge. The service was good and reliable and no hidden charges. Highly recommended. I am utmost happy to book with Tour by locals again. Our tour of the West Bank sites was amazing and our guide highly informed and professional. He arrived at the expected time and the tour with food took exactely the 8 hours arranged. I would certainly recommend your site to others. I was travelling as a mother with two 15 year old lads and they really enjoyed the individual tour so much better than a group arrangement. The best way to travel in Egypt. Ahmed is very knowledgable and kind. His education and description of local history and culture is unrivalled throughout the tour guide system. Ahmed is very friendly and helpful for all of your needs and understands people on a global scale. He has travelled to over 20 countries, adding to the depth of his presentation. If I ever return to Egypt; he'll be the first person I contact, without question! Again Ahmed has come through for me. His mastery of guiding you through sites and planning gives you the tour you'd expect from the highest grade of experience/education possible in all of the field of history while giving you the chance to ask questions, offer feedback, and understand the philosophies of the ancient artwork and cultures famous worldwide for their part in the innovation of mankinds practices and the evolution of how many things are today I wish all the best to you in the future Thank you!